Historically many of our floodplains were managed as hay meadows, which were well suited to deal with occasional inundation from river flooding. Washland meadows can be useful to increase water storage, and combined with management for hay provide multiple benefits for flooding, people and wildlife. There are a number of different techniques that can be used, such as intercepting drainage networks or removing a section of the river bank to allow water to flow in during times of high water. Each site will dictate which technique is most appropriate. 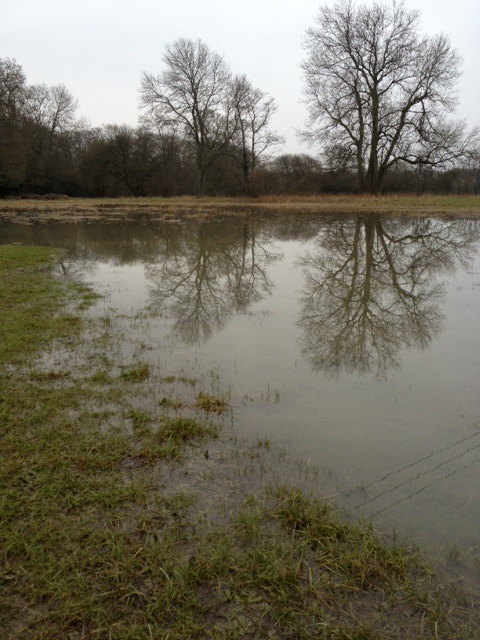 ​We have funding to support work to enhance washland meadows in the Ouse catchment. This work will build on surveys and analysis undertaken by The River Ouse Project (University of Sussex), Sussex Wildlife Trust and the Ouse and Adur Rivers Trust. • MG5 grasslands or mosaic wetland and grassland habitats.